With Easter now behind us, it’s time to start looking forward to a sun-filled summer of fun. Every year, thousands of people head to Northamptonshire for the plethora of wonderful events on offer. We asked the team at our Northamptonshire hotel which events and attractions they are most looking forward to in the upcoming season. Daventry Arts Festival – 17th June to 1st July 2017. With a bigger, better location and programme than ever before, the 2017 Daventry Arts Festival is not to be missed. Highlights include a parade through the town centre celebrating the Summer Solstice, competitions and parties, live music, community markets, stargazing from Borough Hill, street art, children’s theatre, demonstrations of artisan crafts, refreshments by ‘First We Eat’ and a vegan, cruelty free market. Calling all adrenaline junkies! This National Drag Racing Championship features over 25 car and bike classes including some of the crowd favourites. The world’s fastest Jet Car – FireForce will also return to action with its hair-raising start-line display before scorching the drag strip at over 250mph. This non-stop action packed day is great for the whole family and kids 16 even go free. Join 45,000 visitors heading to the Blisworth Canal Festival and enjoy a stroll past the long line of trade and work boats. Take one of the two boat trips on offer or enjoy the many stalls and attractions within 8 venues, just a couple of minutes’ walk into the village from the waterfront. There will also be re-enactment groups, tractors, a farmyard, a dog show, fairground rides, bars, live music, a huge variety of food outlets, an art gallery, open gardens, craft stalls galore, rural craft demonstrators, pony rides and parrots – the list is almost endless! With free car parking and entry as well as free mooring for those with boats, it will be hard to say no to this family friendly festival! For something a bit different this summer, head to Billing Aquadrome to see teams of 10 rowers and a drummer paddle their beastly Dragon Boats and compete against 60 other teams. Competitors will race to through three preliminary rounds, semi-finals and finals to win the coveted Rotary Annual Dragon Boat Trophy. With a fun fair, licensed bar, refreshments and racing, there’s sure to be something for everyone. Silverstone Classic Weekend is the world’s biggest classic motor racing festival and provides spectacular historic motor racing on the world-famous circuit. Access the grandstands for free and see displays from over 100 car clubs featuring more than 10,000 classic cars. Whether you are a motoring fanatic or not, you will enjoy watching 1,000 classic cars taking part in more than 20 races on the famous circuit – the best historic Grand Prix, Le Mans prototypes, Sports, GT and Touring Cars across 80 years of racing. There’s plenty of entertainment to enjoy, with live music from headline acts, air displays, a vintage fun fair, a shopping village, interactive driving activities and dynamic demonstrations. If you have any questions or would like some help organising your time in Northamptonshire, feel free to call us on 01536 713 001. 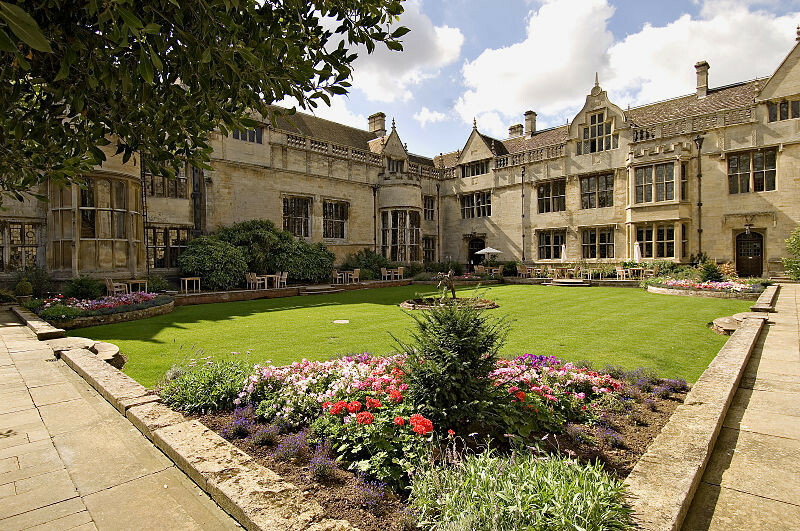 If you’re still looking for somewhere to stay over the summer period, our Northamptonshire country hotel is a place to feel at home and relax, whilst also luxuriating in the rich history and splendour of 16th century surroundings. Book direct for our best guaranteed rate!